I had an amazing day yesterday…Ryan has been having (in addition to school) two 2-hour therapy sessions during the week, and a 4 hour session on Saturdays. I feel somewhat guilty that a 4-year old child has what amounts to a full-time job, but I know this is what he needs to recover and it’s been paying off. His vocabulary is increasing, and yesterday for the first time ever he called me “Mommy”. It was prompted—he was told to say, “Come, Mommy”, but then looked at me and said, “Mommy, Mommy”. I’ve been a mother for 22 years, and have heard “Mommy! !” more times than I can count, but can honestly say it never sounded so sweet as when Ryan said it. In addition to autism, Ryan is severely apraxic. Apraxia is often associated with stroke victims, and means the brain is unable to send the correct signal for Ryan to be able to speak clearly. Because speech is so difficult for him, Ryan will rarely try to talk, and when he does, usually only says a single word at a time—if he’s able to access the word at all. For example, Coke is Ryan’s favorite thing in the world and it is a special treat for him. He knows what Coke is and can say it. He’ll go to the refrigerator and we know he wants Coke, but he’ll become frustrated because he just can’t get the word out. So why the picture? 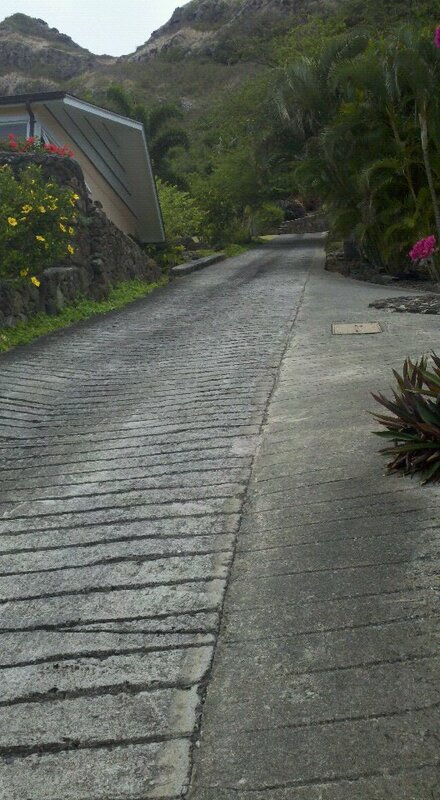 Yesterday I was walking to a neighbor’s house in the hills around our neighborhood, and as I struggled to climb that hill, I thought about it as a metaphor for autism—it’s a long, steep climb, but step-by-step, we’ll get to the top. Ryan has Applied Behavior Analysis (ABA), Speech Therapy, Occupational Therapy, and Physical Therapy. Each is helping him take those steps to recovery. It is slow, and sometimes he takes a step or two backward, but ultimately his treatments are giving him the momentum to go forward. I am thankful for the dedicated people who work with Ryan every day and are climbing this hill with us. Hearing Ryan look at me and call me "Mommy" was a big step forward for this autism mom.